Juventus reportedly are targeting Zlatan Ibrahimovic as the main objectives during this summer’s transfer window, but Paris SG would be happy to keep the Swede. And now PSG’s sporting director Leonardo also goes out in an interview in an attempt to end the speculation. – I think Ibra is happy here – and it’s really important for us. Juventus shows they have a good project going on in the construction of the new stadium, but they lost to Bayern, he says in an interview with La Gazzetta dello Sport. 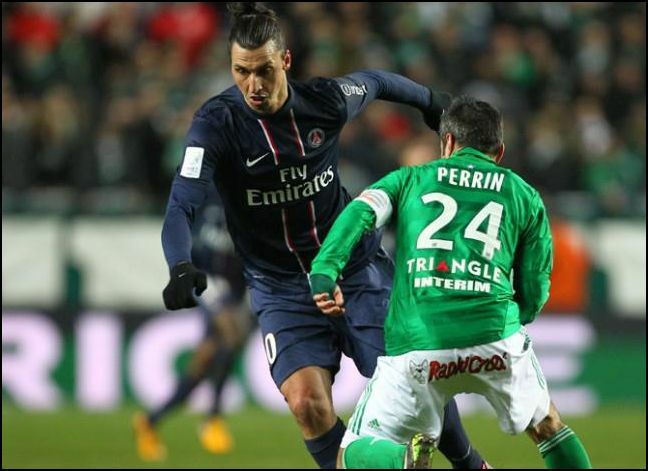 But when it comes to PSG is not only around Zlatan Ibrahimovic that there are transfer rumors. Recently, Wayne Rooney was said to be ready for the club – and players like Ronaldo and Cavani has been linked. This Leonardo now denies – but he opens up for other big players. – There is no offer when it comes to Ronaldo. And when it comes to Rooney and Cavani, I have not heard anything. I do not want to exclude large purchases, but there must be an opportunity for that. I would like to see a major French players in PSG, as Nasri, Ribery or Cabaye. But I have no contact with them, he says. This entry was posted in Rumors and tagged Cavani, Juventus transfer, Ribery, Ronaldo, Rooney on April 18, 2013 by Johan Bengtsson.